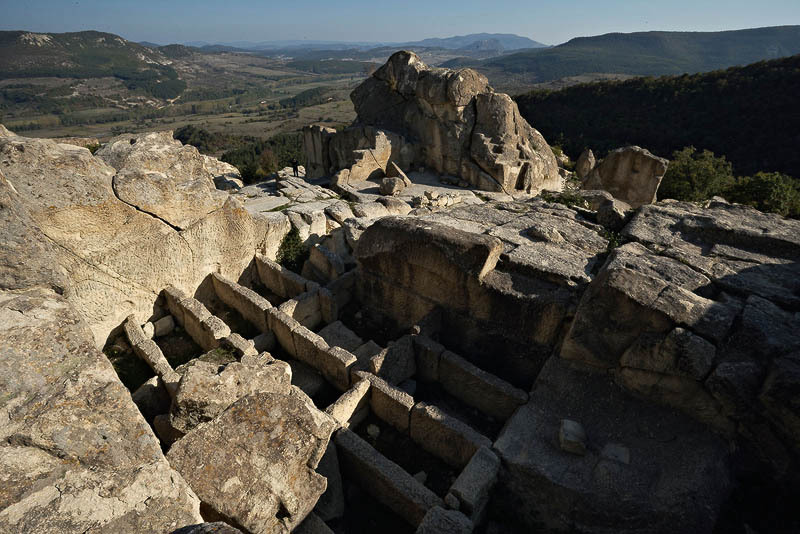 View of Perperikon, ancient Thracian sanctuary, near Kardzhali town, Bulgaria. Old Thracian stone town. View from sepulcher and tombs. Archaeological excavations. Tourist destination. Archaeology and tourism. Archaeological sight. Archaeological landmark.